You just can’t go wrong with these cookies. 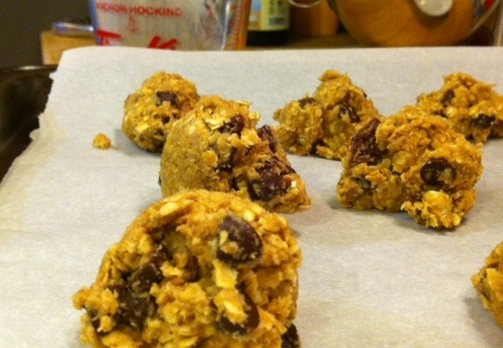 You can make them healthy, you can make them sweet, or add nuts or go crazy and add chocolate chip! They will still forgive you, and become cookies that won’t disappoint! Obviously, based on how much fat or sugar or whether you put chocolate chip or whole wheat flour in them, they will differ in taste. But the amazing thing is they still form into a cookie shape and they still will taste like a yummy oatmeal cookie that won’t disappoint! The secret is my new discovery of using psyllium husk as vegan faux egg! 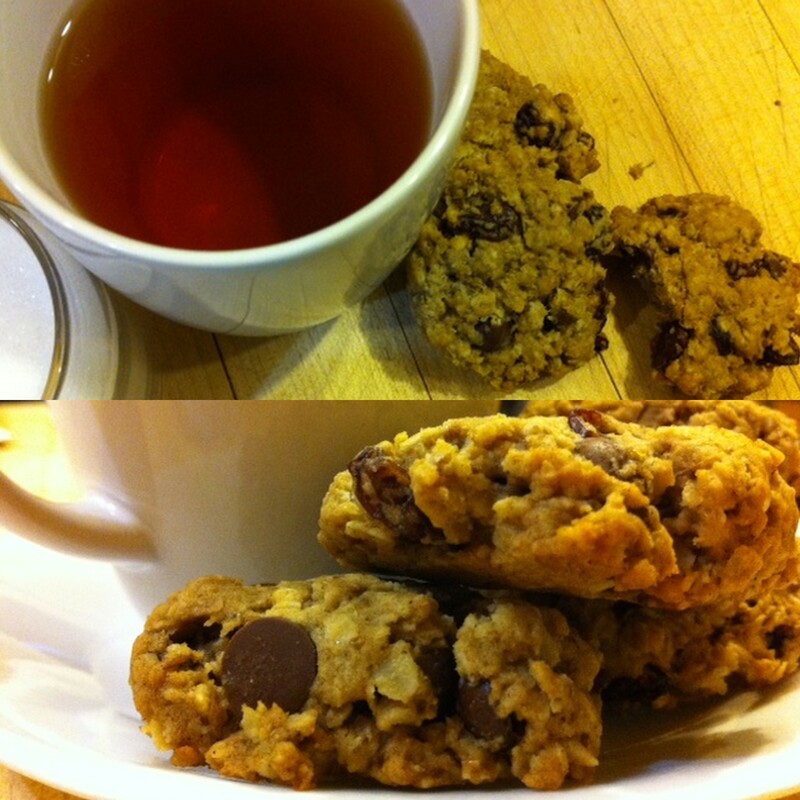 Using ground flax seed plus water as egg replacer in baking is no vegan secret. What makes it a great egg replacer is that when flax seed meal is mixed into water and rested for a while, it turns into a gel like consistency somewhat like a gently whipped egg. Well, I knew psyllium also has that quality, but even more so, and apparently others have thought this too, as clearly evident from a mere google search. You know the song by The Platters, “The Great Pretender”? Well I have this image of the little psyllium husks singing it while they swim in the water, as they claim to be the best pretenders of eggs! I know…I have a wild imagination!